The Dutch duo Bruijsten-Meijer continues its winning streak by conquering the Masters Tournament in Cologne for the German Padel Series (GPS). 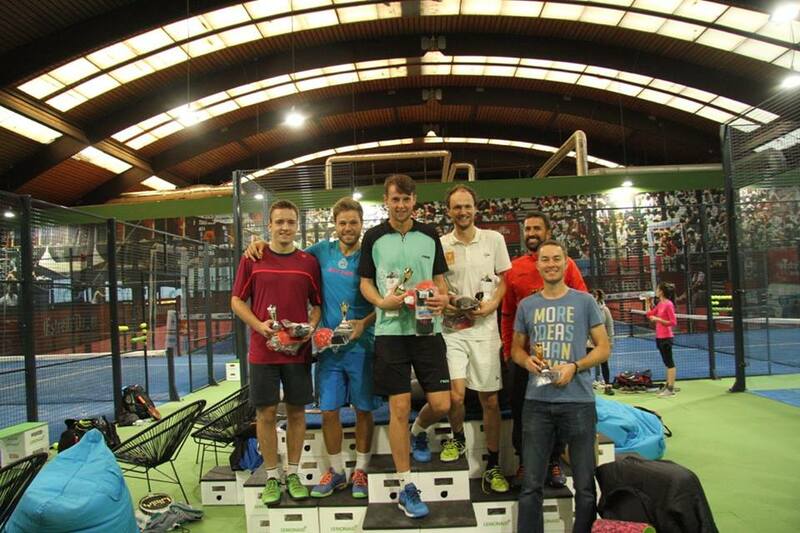 The tournament took place in Cologne from 15th to 16th October and it was organized by the Deutscher Padel Verband. The road to the Masters title began two weeks ago after winning the Herne GPS/FIP 100 Tournament. During that ideal weekend, Bruijsten-Meijer dominated the German elite. As champions of Herne, they received a ticket to compete in the end of season tournament: The DPV-Masters 2016. Bruijsten-Meijer begon the weekend with a convincing win for 6-2 6-4 against Kopkau-Knippschild. Remarkably, Jens Knippschild is a former ATP tennis player with a highest ranking at 89. He is nowadays fully dedicated to padel. In quarter finals the number one seed and German National Team members Nowicki-Panser waited confident to face the Dutch but had no matching response to counter: 6-0 6-2. For the semi-finals they went on to play against first class Argentine pro-player German Schaffer and Spanish Maxi Graschev. Once more, Bruijsten-Meijer found their way to win 7-5 6-1. The final match faced them against one more team from the German National Team, seed number two Bohnke-Mordhost. The final score favored again the strong Peter Bruijsten and Bram Meijer 5-7 6-4 6-1. Consulted about their current high form Bruijsten commented: “… during this tournament we played our highest level ever. Brams defense worked so well… and I followed him. The Germans simply had difficulty to score against us. We could wait patiently for our turn to score knowing that they would not really hurt us…”. “Knowing how to defend is fundamental in padel. Anyone can attack and hit the ball hard. Defending is what differentiates a good padel player from an intermediate player. Bram and Peter understood this and put it into practice”, added their coach Norberto Nesi. When asked about their immediate future, Bruisten-Meijer confirm that they will participate in the FIP 250/NPB Tournament at La Playa Rijswijk at the beginning of December where a number of professional Spanish and Argentine padel players promise to face them.